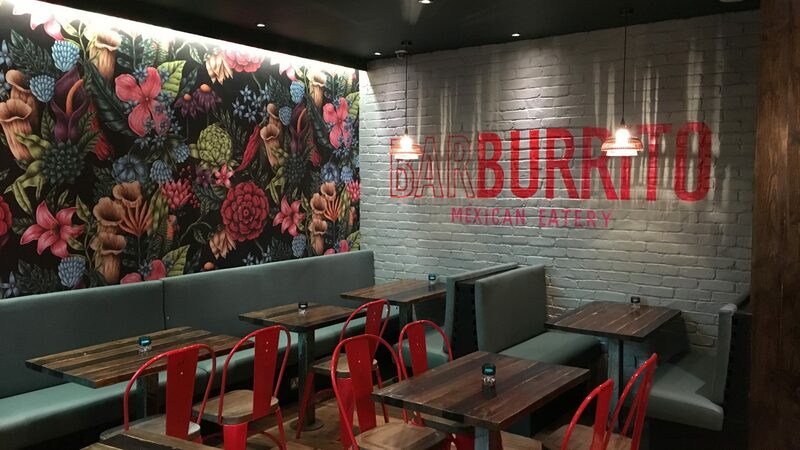 Barburrito have been partners with Pinto Mexican Kitchen for just under a year and can now reveal the re-branded, new look restaurants across Edinburgh and Glasgow. Added items; spicy chorizo, chilli & garlic mushrooms, flash fried onions & peppers, fresh guacamole and more! The La Familia reward scheme for loyal customers; where every 10th burrito is free. Free birthday burritos for registered La Familia card holders. Regular competitions and offers for those on our mailing list. Throughout the partnership all of the team remained the same and worked hard adapting to the new menu which they learned (and loved) quickly. We understand that change can be difficult and that some of the Pinto favourites will be thoroughly missed. As always, Barburrito endeavours to create the best tasting burritos in the UK. Sourcing the finest ingredients and developing recipes are at the heart of what we do and we are confident Pinto customers will enjoy our food just as much as before.